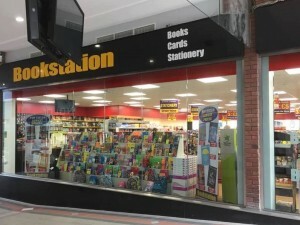 The latest store to open in City Square Shopping Centre is Bookstation. Bookstation is Ireland’s leading chain of stores for the latest bestselling book titles at unbeatable prices. We carry all the latest titles for adults and children at greatly reduced prices along with a wide selection of books in our bargain sections that simply won’t be matched by our competitors. We also specialize in sourcing recent releases at heavily discounted prices and pass these on to our customers enabling us to sell hundreds of titles at 2 for €5 or €3 each. Bookstation also carries a huge selection of stationery for office, school and college and you won’t be disappointed when you compare our prices. Bookstation has two ranges of greeting cards also with our premium range priced at 3 for the price of 2, cheapest card free and our value range priced at .79 cent each or 3 for €1.69! Alongside all of this we have a crazy selection of craft, a wide range of party ware, confectionery, Soft Drinks and a full news agency with lotto.